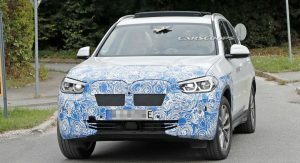 Audi and Mercedes are preparing to introduce electric crossovers next month and they’ll eventually be joined by the BMW iX3. 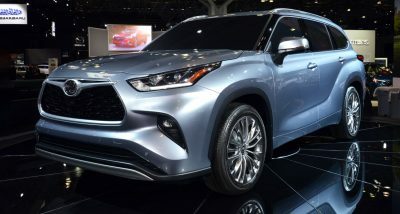 Previewed by a concept at Auto China, the iX3 will be launched in 2020 and become the brand’s first electric crossover. 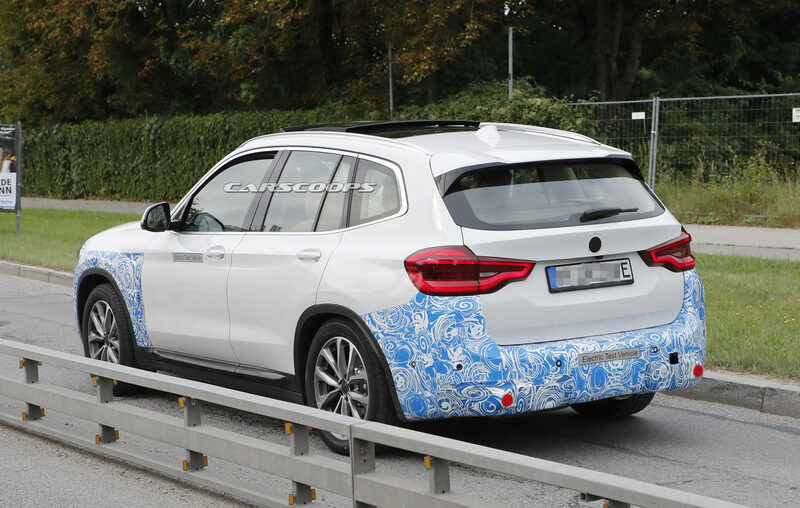 While previous prototypes were virtually indistinguishable from the standard model, the latest version features production bodywork that is hidden beneath blue camouflage designating its eco-friendly status. 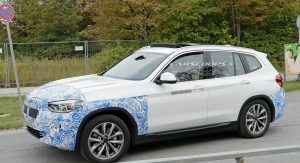 Unsurprisingly, the changes are minor and the model is still instantly recognizable as an X3. 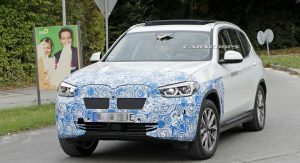 However, the crossover has been equipped with a new front fascia which features a revised grille. 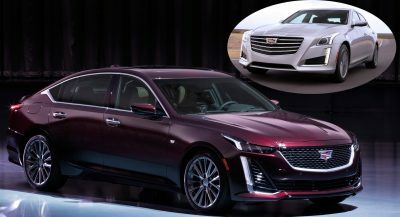 It’s too early to tell what it will look like, but hopefully the company decided against using the bow-tie design that was featured on the concept. Further below, we can see a wider lower intake which appears to remain pretty faithful to the concept. We can also see a glimpse of the side air intakes, but it’s unclear if they will be vertical units. 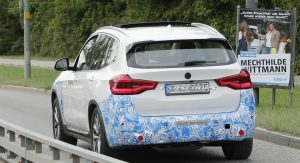 The rest of the design largely carries over, but the iX3 has been equipped with a modified rear bumper. This is the result of the crossover not needing an exhaust system due to its electric powertrain. Spy photographers couldn’t get close enough to snap the interior, but changes to the cabin will likely be minimal. 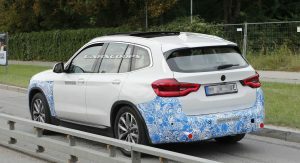 Nothing is official,but we can expect a revised instrument cluster and EV-specific infotainment displays. 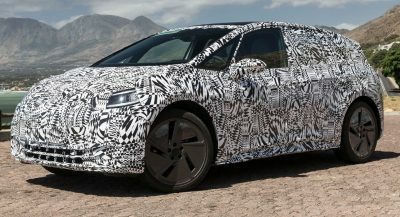 Like the concept, the production model is expected to have a 70+ kWh lithium-ion battery pack and an electric motor that develops more than 266 hp (199 kW / 270 PS). This should enable the crossover to travel more than 249 miles (400 km) on a single charge. When the battery is depleted, it can be topped off in 30 minutes using a 150 kW charger. Sadly this won’t be produced in their American facility, rather Chi-nah. Hey guys.. remember when the BMW “i” brand used to be cool (i.e. “i8 & the i3”). And now they’re just making rebranded or slightly tweaked electric versions of their existing vehicles?. 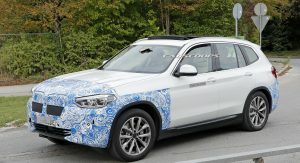 This is honestly a sad attempt for the BMW i brand and I personally do not think this vehicle will last very long on the market or be as successful as it’s other “i” branded siblings. I really wish BMW would think less about the money, and more about the vehicle (as they used to, at least in the design and care department). Disagree, mass maket wants an electric BMW to look like a BMW. BMW has taken the sensible approach to this electrification thing. 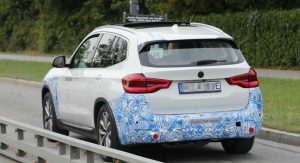 Rather than making a song and dance about it as Mercedes and audi are doing, creating almost bespoke new cars/brands with loud noisy marketing push, BMW is simply creating a full electric variant of an existing model already familiar to buyers. This iX3 looks exactly like the X3 but it’s just its full electric powertrain variant. 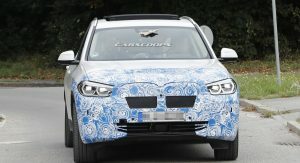 Something for a very eco-conscious but interested buyer of X3 to now go for rather than crossing to another brand like Tesla. Really smart, BMW. 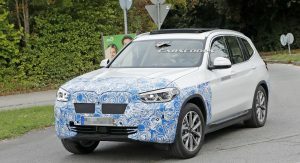 They would, if its a 2 tonne SUV running strictly on electric power (zero emission), just like they already do with Tesla Model X. Eco-conscious folks have practical car needs too. No one using technology can ever be truly eco-conscious then. Sad. 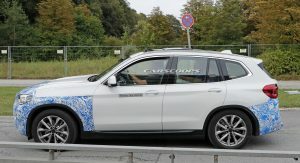 I think it’s smart of BMW to develop this on an existing platform, but I am not so sure they are necessarily chasing the etron or EQC. 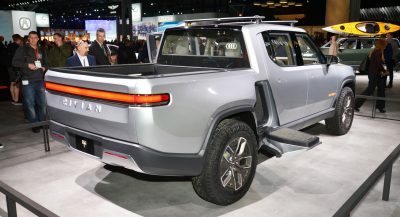 I can’t see this being hugely popular at those competitor price points, and those models largely will capture an audience based on the fact that they have been developed from the ground up to be EV’s. 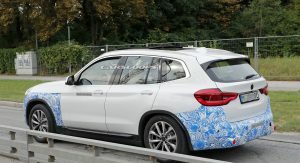 Also, BMW has said the iNext will be a crossover.